For anyone who knows anything about Mormons, the answer to the above question is obvious. Yes. So, the real question is, why are we still getting this question? 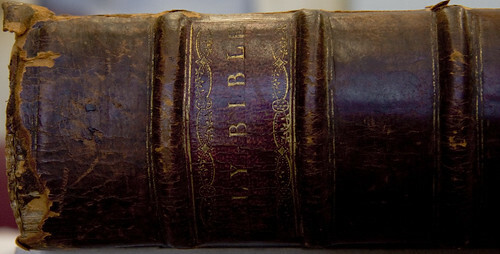 We don’t believe that the Bible is the only word of God. We don’t believe in the Trinity. They (those who call us non-Christian) are offended that we won’t accept their baptisms or other sacraments. They are offended that we proselytize other Christians. Our divergence from other Christian religions on these points is significant, and makes us very different from them. Each of these points also stems from a much deeper core difference. For example, it’s not just the Book of Mormon that is additional scripture for us. We also believe anything spoken by prophets when they are fulfilling their callings is scripture, even talks given in General Conference by General Authorities is considered scripture. However, even when you consider these deeper differences there is nothing that reduces the role of Christ in our doctrine. We are very different from other Christian religions, but are still very much Christian. Ultimately, it’s a desire to marginalize or denigrate our faith that motivates people to assert that we are not Christian, and ignorance that perpetuates the slander. Sure, we can try to simply retort, “yes we are,” but ultimately that carries little weight. What we need to fight is the ignorance and prejudice behind the assertion. Next time someone asks you if Mormons are Christian, try getting some clarification. What do they mean by Christian? What do they know about Mormons? Why would you think that we are not Christian, despite the name of Jesus Christ in the name of our church? Once you get clarification, don’t shy away from our differences. Some people don’t like us because we are so different. Difference is explanatory. Our responses and our lives should show that we are Christian.